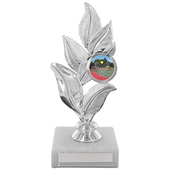 This trophy is in a silver metal finish with a leaf design, suitable for a personalised engraving plate on the base. 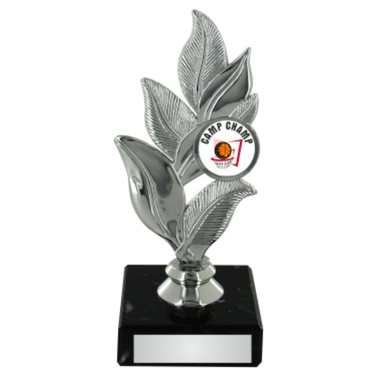 The larger sized trophies have the deep orange tube as pictured, to increase the height of the trophy. 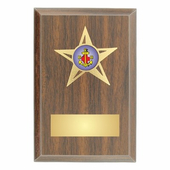 The larger sizes also have the option for adding a second centre sticker just above the base.